This week I was going to talk about the crazy taxation that spirits producers have to pay (62%) which I find extra-ordinarily high (what did spirits producers do to piss off the government?) and how distilleries sometimes have no choice but to shut down … but I am a wine person, first and foremost, and the thing that really irked me this week is the upcoming (April 1) Vintages release and how the LCBO has decided, once again, to phone it in when it comes to promoting the best of Ontario – and I for one am getting sick of it. Sure people will point to how they expanded access of wine and beer into grocery stores, but that’s more a reaction of a scared and flailing government than anything to do with the LCBO, in fact the LCBO opposed it. 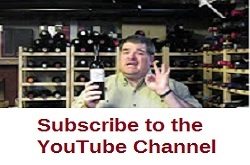 Let’s be honest, the LCBO is lackadaisical, at best, when it comes to promoting Ontario wines, and they do it with such a blasé attitude it is embarrassing in the way they continue to absolutely fail the people of Ontario … let me explain and expand. The main feature of the April 1, 2017 release is “Visionaries, Innovators and Pioneers” (VIP) – on a global scale - here you’ll see names you recognize and wineries that are household names (or one’s that should be) – people like Angelo Gaja (Italy), Ben Glaetzer (Australia), Ken Forrester (South Africa), Michel Chapoutier (France) and Nicolas Catena (Argentina) and for each they pair a wine to go along with them … I question the wine selection for these iconic wine luminaries, but what the hey, sometimes those iconic wines are sold out (icon wines do that) and you then have to go for secondary wines by those producers. Then I reached the part with our local VIPs: Moray Tawse (true, a more recent member of the VIP club and in my opinion kind of an easy choice by the LCBO), even more lazy are the wines selected, far from what I would call his “iconic” ones; but that seems to be par-for-the-course in this release. Tawse makes single vineyard / single block wines that are “the bomb”, yet the LCBO chose a “Growers Blend” and a “Sketches” wine, seriously? There are so many VIPs right here in Ontario, but the LCBO chose to ignore them … could it really be as Konrad Ejbich wrote in a tweet last week, during #ONWineChat: “LCBO profits more from foreign sales than from Ontario sales. It wants Ontarians to prefer foreign wines.”? ... It certainly looks that way. I’m going to go calm down, but why not have your say on the Visionaries, Innovators and Pioneers of Ontario that you admire and respect on our FaceBook page. Cheers.